When you decide to go to Australia on the visitor visa for Australia, you decide to be a part of a world of adventure and wonder. Australia gets so many people who come visit this country annually on the Australia visitor visa from India. 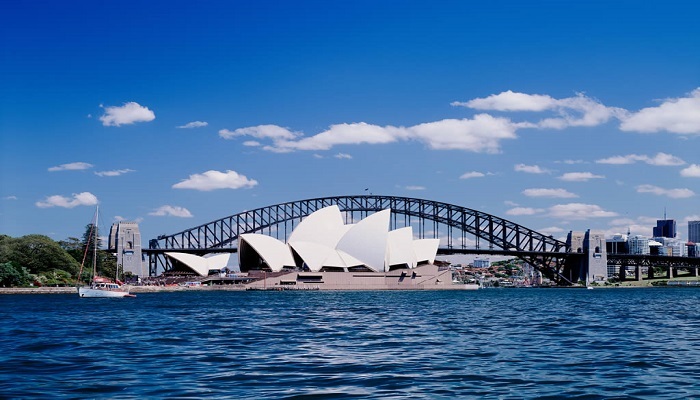 There are so many cities in Australia which are heralded for their development. Apart from development, these cities are known for their natural beauty. The Great Ocean Road is one of the most beautiful places in this country. The road which stretches from Torquay to Allansford alongside the ocean is 243 km long. You can also get to watch the Twelve Apostles alongside this road. These Twelve Apostles are limestone stacks. This Great ocean road is situated in Victoria. This national park is the biggest national park in Australia. It has a great assortment of animals for someone to watch. It has a lot of species of birds, 300 in number. Endowed with natural beauty, this park has gorges, rivers, and mangrove swamps. It also has dingoes, a species of dogs, found in Australia and saltwater crocodiles. This museum has the best artistic creations which include an Art Gallery and an Art Museum. So, the visitors can get to watch contemporary modern art here. This museum is located in Melbourne. This park has paintings depicting Modern Art and Contemporary Art. It also consists of steel made Sculptures in the Sculpture Park. Known for its majestic look, this bridge has the shape of an arch. Due to its shape, its also known as the “coat hanger’. The bridge has a height of 134m. This architectural marvel needs no introduction. In fact, its frequented by 8 million tourists per year. A lot many artists perform at this place every year including the three companies of artists which actually live here. Performances of musical shows and ballets are held at the concert hall every year with 2,679 seats. This is the one largest rocks in the world which is 348 meters in height. Located in the Kata Tjuta National Park, this rock attracts a lot of attention every year. The candidate should know that this visa is simple to avail. Health insurance is needed by someone for 12 months for getting this visa. If you are going to meet your family in Australia, there is a need for a security bond in case you can’t take care of your expenses. Biometrics have also been imposed as a part of the requirements for someone to get this visa. Visitor visa is also available to parents who are unable to get a parent visa. They can get the visitor visa for different durations depending on whether they have applied for the parent visa or they have not. You should leave Australia on the day your Australia visitor visa from India terminates. Thank you for good advice, I will use them!